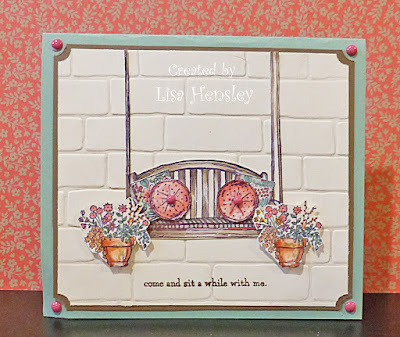 The Shabby Stamper: Sitting Here! Here is another one of the preview sets from the SU! 2016-2017 catalog -- Sitting Here. There are all sorts of items that can decorate the swing -- pillows, potted plants, cat, dog, basket and a bird. I stamped and watercolored the swing image, pots and pillows, then adhered them to the Brick Wall background.